Legion Y530 is a 15.6” Gaming Laptop that guarantees serious power for the Avid Gamer, delivering more muscle per millimeter than any 15" before it. It’s a thermally optimized and thermal cooling technology based that enable it to run cooler and quieter. 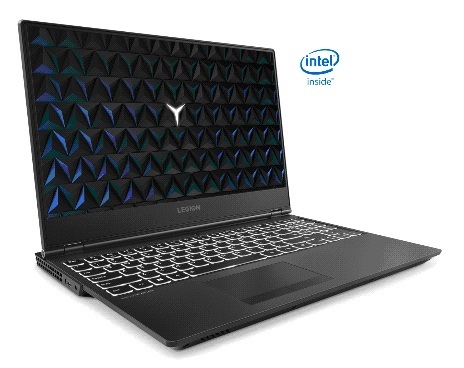 The company has made this Lenovo Legion Y530 focusing those gaming lovers who demands gaming, wherever life takes them. This laptop is a portable gaming PC that is slim in size and light in weight. Legion Y530 is powered by 8th Gen Intel Core Processor with NVIDIA GT-1050 Ti Graphical support. It features optional hybrid storage for added speed and also has premium audio feature for clear sound. Legion Y530 comes with a full-sized white backlit keyboard that facilitates user to use it comfortably in the night as well. It Thermal cooling technology makes it convenient for heavy-gaming lovers to use it and play games on it for a long hours.